Home to the oldest university in Spain, Salamanca is known for its beautiful historic architecture and traditional buildings as well as its authentic Spanish charm. There is no wonder why the historic centre of the city was declared a UNESCO World Heritage Site in 1988 as Salamanca is a picturesque, customary example of Spanish heritage. As a university city, Salamanca has a classic atmosphere which makes it feel familiar and welcoming yet at the same time as having an endless supply of interesting places to see and visit. Charm is woven into its cobbled streets and squares and its central Plaza Mayor hums with the hustle and bustle of student life and the beauty of past times. This travel guide to Salamanca attempts to be a perfect introduction to this historic city. Find the answers to all of your Salamanca questions by diving into our sections, where you'll find accurate and updated information about one of Spain's most culture-packed destinations. 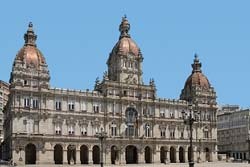 Our attempt is to give you the information that can be most helpful when planning a visit to Salamanca, from the basic details about Salamanca, to other practical facts, as the transportation section.